If you follow me on Twitter then you might know that a few weeks ago I became a total Aldi convert. I had always been intrigued by the adverts and the awards that Aldi had won for 'Best Supermarket' so a few weeks ago my husband and I went and got a weekly food shop there and were really impressed by the selection and cost. We saved about a third on our weekly bill and that included some sweet treats that we wouldn't have otherwise bought (it is almost Christmas after all). These were the items that I was most keen to try after hearing only good things about them from other mums. I do tend to listen to people when they recommend a product and again this time I wasn't disappointed. The Fragranced wipes have a pleasant smell which isn't floral or overpowering, properties I hate in baby wipes, and both packs of wipes are really thick. They hold their moisture which is really important to me when it comes to baby wipes and they leave the skin feeling quite moisturised too which is always a bonus.With a price tag of just 59p a pack, I would definitely recommend these over any other leading brand. From day one with Indie we have always used supermarket brand nappies. We have never found a favourite as we haven't had any leaks or accidents with any brand since the newborn days so I am always willing to try new brands. 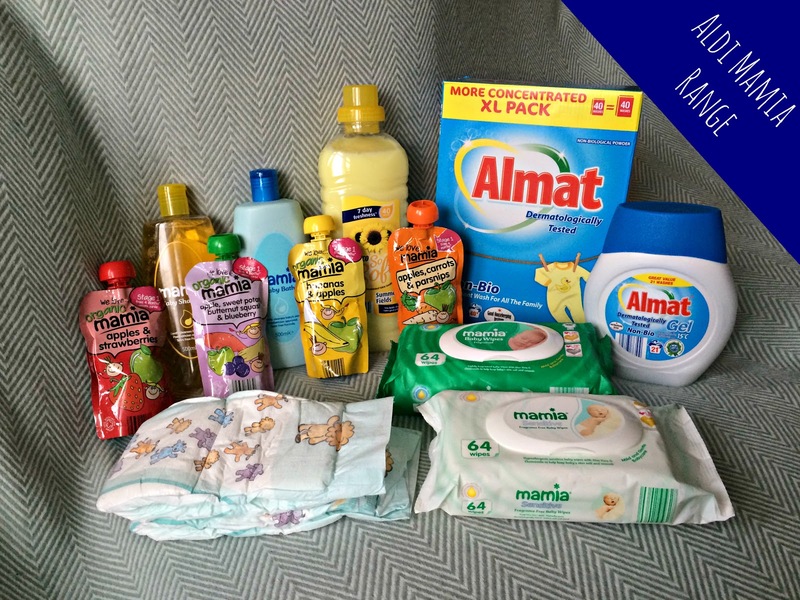 I am subscribed to Mother and Baby magazine and have been since having Indie, so I was aware that Aldi's Mamia nappy range won Gold for 'Best Disposable Nappy' last year so I was keen to see what all the fuss was about with these. They felt a little plasticy on the outside compared to other nappies I've used but this didn't hinder their performance. The size we used (Junior size 5+) work out to just 11p a nappy which I think is amazing value for money- that's less than half the price of the leading nappy brands. As I have said before we have never had a leak or accident from a nappy since Indie was a newborn and we were happy to find that this is still the case after using the Mamia brand. We used pouches like these when weaning Indie as they were a convenient way to offer puréed fruit and vegetables on the go and we still use them now as a 'fun' way of Indie having a little sweet treat as a toddler. They are safe from 4 months and up and contain no added sugar. I love that these have hidden vegetables and can be enjoyed by both babies and toddler and at just 59p each, they are very affordable and the perfect size for a toddler snack on the go. The only downfall is that I really wish they had a bigger variety as Indie loved all of these and I think it would be great to have a bigger selection to chose from. These are the only products that I was really sceptical of trying. Both me and my husband have Eczema and Indie has very sensitive skin so for this reason I am always hesitant of trying new products that come into direct contact with Indie's skin. That being said my doctor did advise to try and vary the products that we use on her to try and pinpoint the main ingredients that irritate so I was happy to give this a go. On appearance these both look very similar to other leading brands and in general they wash and give the same results. The thing that particularly drew me to these products however was the scent. They don't smell anywhere near as strong as other available brands and this was something I liked. I believe that baby and toddlers delicate skin doesn't need to be washed with really strong smells and I always feel that the stronger smells will be harsher for the skin. After a few baths and hair washes I was really happy to find that this didn't irritate Indie's skin at all so these are certainly products that I will be buying in the future. When choosing washing products the main thing that sways my mind is the price. I tend to go for what is on offer at the time and I like discovering new scents. I was sent the Almat Non-Bio Washing Powder, Laundry Gel and an Anco Summer Fields Fabric Conditioner to try out. I have used alot of washing products in my time and as none of our washing is ever that dirty (now the weaning days are over) I like to find washing products that basically smell nice and keep my clothes smelling nice once they are washed and dried. That being said, I also have a very fussy husband who likes his clothes to smell clean but not fragrant - so it doesn't ruin the scent of his aftershave. I was very happy to find that these products had a very 'clean' smell and after washing and drying our clothes with these prodcuts they were clean and smelt nice too. There were no overpowering scents and no powdery residue left on our clothes (something that we have to watch out for as hubby wears black clothes to work everyday). 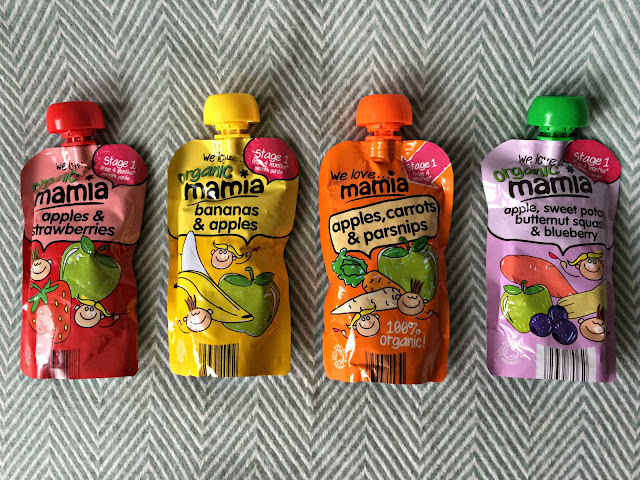 Overall I was very impressed with the products that I tried from the Aldi Mamia Range and they are products that I intend to buy at our next grocery shop. I was particularly impressed with the Mamia Fragranced Wet Wipes and also I would really recommend using a combination of the Almat Washing Powder and the Anco Fabric Conditioner, our washing smells amazing! *I was sent these products for purpose of review. All opinions are my own and are honest and genuine. I was not paid for this post. All items are linked where possible.